If you had your honeymoon in Thailand, then you and your spouse surely have some unforgettable memories about this tropical paradise. While it promises a bundle of fun family moments, a trip to Thailand with your children will certainly be different to the holiday you took before you had kids. Even though Thailand is mostly known for its magnificent beach resorts, with a bit of planning and the right attitude, it can also become an exciting destination for a family vacation. Following are some of the best family locations to account for. 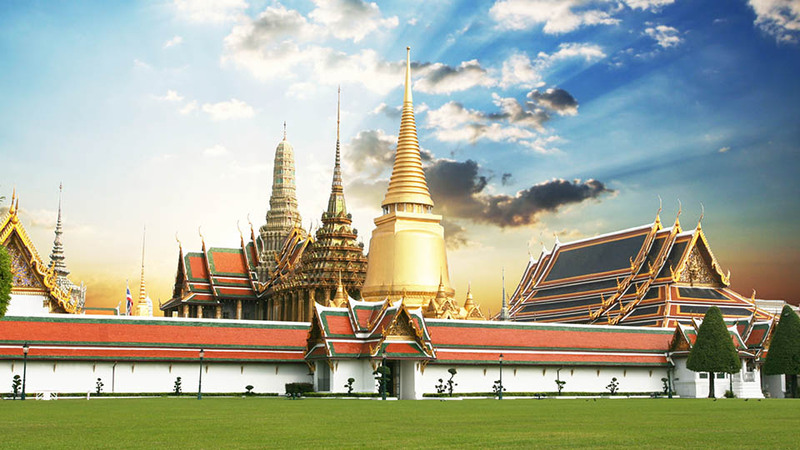 Like it or not, you’re bound to spend a couple of nights in Bangkok especially since most international flights to Thailand arrive here. Since you’re going to stay for a day or two, you should make the most of your time by taking your kids to the biggest water park in the area, the Siam Park. In case you find the heat unbearable during the day, then the Siam Ocean World, the Krungsri Imax Theatre or the Major Bowl from the Central World Shopping Mall are great spots to check out. If your kids enjoy the outdoors, then Ao Railay can be one of the best locations for a family vacation. All three beaches of Ao Railay are located near the hotels and villas and are inexpensive compared to other accommodations near it like Koh Samui. In case your kids want adventure, then you can arrange day trips to the nearby islands, rent kayaks or go snorkelling. Alternatively, you can check out the various options for rock climbing in the area. To make the most out of your trip, it’s best to schedule it between November and April, as the weather is more temperate during this time. In case you think that your children will feel rather isolated in Ao Railay, then consider Koh Samui as your family holiday destination. The city has grown exponentially over the past two decades and can provide considerably more activities and things to explore. Similar to Ao Railay, Koh Samui offers four incredible beaches located in the proximity of the accommodations, where you can go sea kayaking and snorkelling. In addition, your kids can enjoy elephant rides and spend a fun day at the Ang Thon National Park. If you’re an adventurous family that prefers to combine outdoor activities with urban culture and amazing food, then you’ll definitely love Chiang Mai. Located in Northern Thailand, the city is home to the most impressive zoo in the country. Kids who want to interact more with the animals can take advantage of the Twilight Zone tour offered by the Chiang Mai Zoo or embark on the Chiang Mai Night Safari. During the day you can take your family mountain biking, fly in a hot-air balloon, take a cruise on the river or ride elephants. Before you travel to Thailand, make sure you take care of all the necessary paperwork and visas. In case you need help filling out the visa applications for your family, don’t hesitate to contact us.